Nothing like some campy Chinese fantasy action to start the day, right? The first teaser trailer has debuted online for a new Chinese fantasy-adventure-action film directed by action veteran Renny Harlin (of Die Hard 2, Cliffhanger, Cutthroat Island, The Long Kiss Goodnight, Deep Blue Sea, Exorcist: The Beginning, 12 Rounds, Skiptrace) titled Legend of the Ancient Sword. 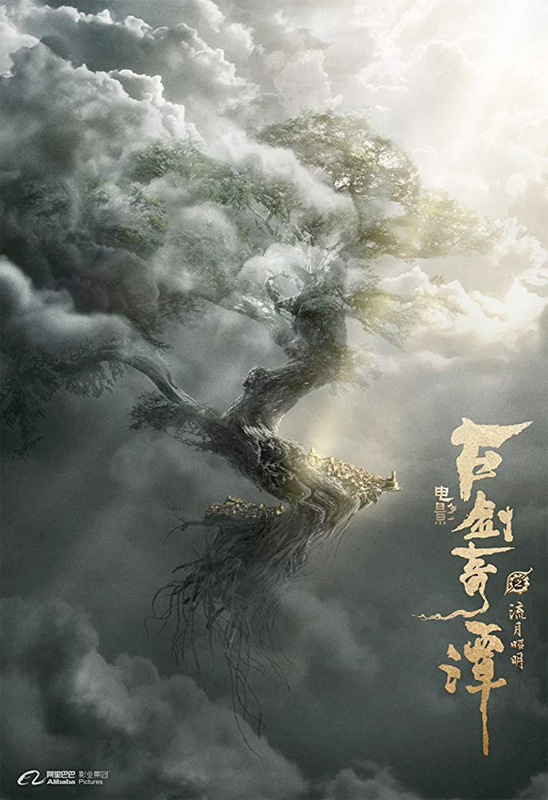 Based on the video game "Gu Jian Qi Tan 2", the film centers around a young student of a lost martial arts form (called "Yan") who heads out from his hometown to find a great master. The main cast includes Leehom Wang, Victoria Song, Godfrey Gao, Karena Ng, Julian Cheung, Archie Kao, Ada Liu, and Li Yan. This looks pretty much exactly like it sounds: packed with CGI action, vibrant sets, eccentric characters, and a flaming "ancient" sword. Have fun. Due to a fateful occurrence, Yue Wuyi leaves home. He meets revered master Xie Yi, who imparts to him the magical arts of Yan, and thus begins his journey of cultivation. Along the way he meets Wen Renyu, Xia Yize, Ah Ruan and company. They discover the schemes and conspiracies of Shen Ye, the grand priest of Liu Yue City. 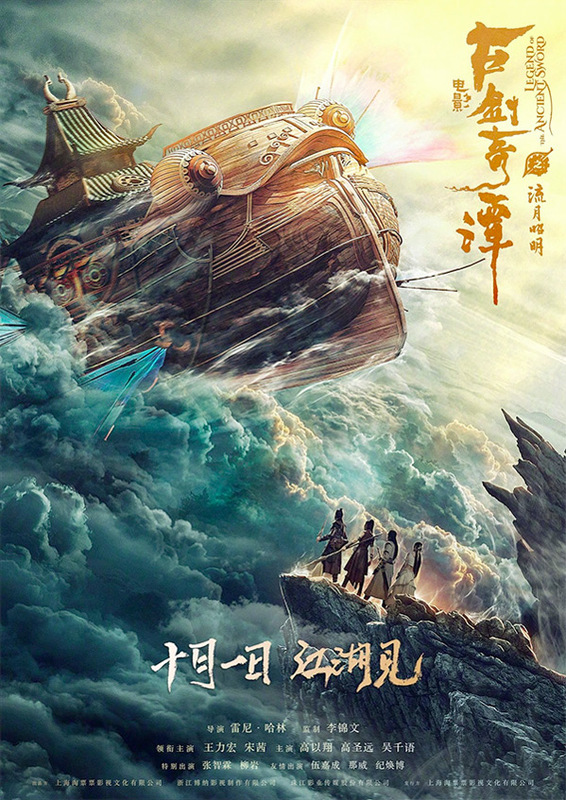 The group of adventurers undergoes dangers to defeat Shen Ye, and prevent a disaster from befalling the world. Legend of the Ancient Sword is directed by veteran Finnish filmmaker Renny Harlin, director of many films including Prison, A Nightmare on Elm Street 4: The Dream Master, Die Hard 2, Cliffhanger, Cutthroat Island, The Long Kiss Goodnight, Deep Blue Sea, Mindhunters, Exorcist: The Beginning, The Covenant, 12 Rounds, Devil's Pass, The Legend of Hercules, and Skiptrace recently. The film is produced by Ben Zhang and the Alibaba Pictures Group. Harlin's Legend of the Ancient Sword is set for release in China starting in October, but no other plans are in place yet. Stay tuned. Who's into this?